The Volunteers below have contributed numerous files in helping to keep genealogy free. Peggy C. Beaubouef Winn Par. Darnell Brunner Beck Orleans Par. Jan Craven 1st State File Manager (1996-2000) Var. Carl Dilbeck Military Page; Sabine Par. Janell Jones Goss Jackson Par. G. T. Kellogg, Jr. Caddo Par. Tammy D. Larche Sabine Par. Lewis F. "Frank" Martin Winn Par. 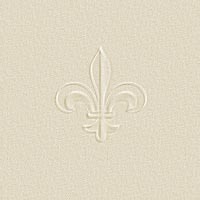 Joan A. Newman Iberville Par. A. P. "Red" Quebodeaux Acadia Par. Karen Rice Mabry Union Par. Frances Ball Turner Bossier Par. *Denotes those FMs that retired during 2004.